It’s Not Just About the Food! A Feature about MPNH’s Food Programs. The folks at Mount Pleasant Neighbourhood House — like people at many Mount Pleasant Community Organizations — are constantly using food as way to break down barriers between people and help create lasting community connections. Like many new immigrants, Aya found the process of adjusting to her new life in Vancouver difficult and lonely. Aya is not the only person in Vancouver who has struggled with loneliness. According to the Vancouver Foundation, one third of people in our city find it difficult to make friends. Off people living in our country for 5 years or less, 42% count 3 people or fewer in their network of close friends. 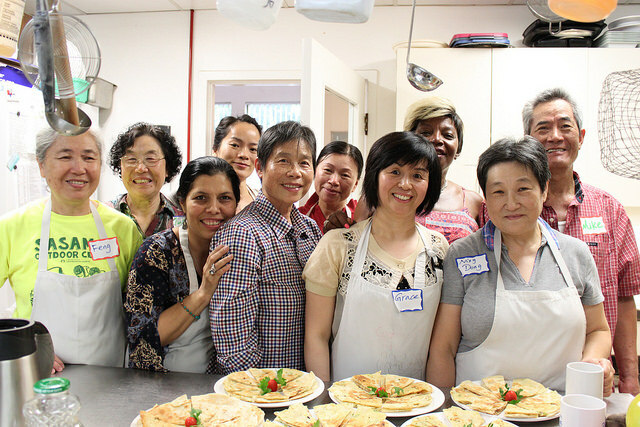 That’s why MPNH programs like the Multicultural Cooking Club are such an important part of fostering social networks, relieving isolation, and supporting the mental wellbeing of those who call this city home.